Happy Saturday everyone! What’s on your agenda? We are opening up our lake house for the season! Means a bit of cleaning and hopefully lot’s of relaxing. 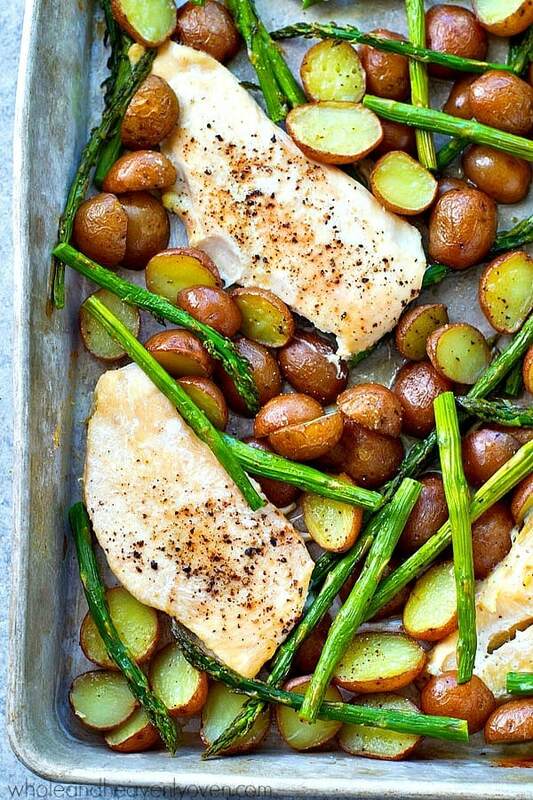 This week we have a delicious one pan roast chicken dish with asparagus and fingerling potatoes! Then you must make a batch of dark chocolate caramel cluster clumps! They will cure any sweet and salty tooth! Be sure to stop back every Saturday for your weekly fix of daily entrees as well as a breakfast, lunch, snack and dessert! Just click on the photo or link to see the recipe. Enjoy! 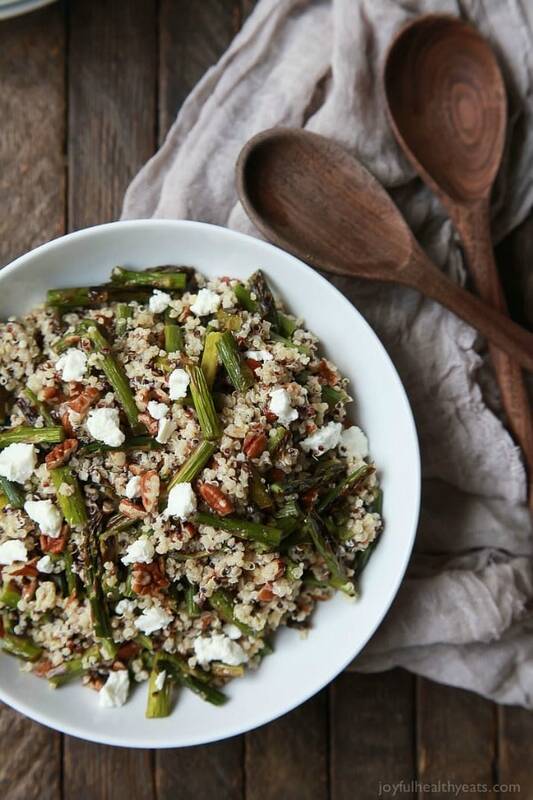 Creamy Goat Cheese Asparagus Quinoa Salad, loaded with delicious flavors your family will love. 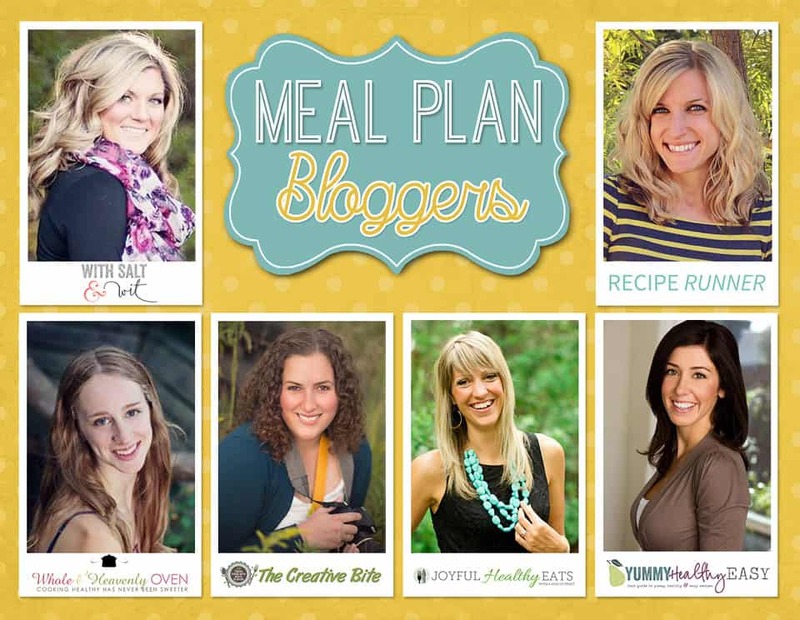 A quick easy gluten free recipe that makes a great main dish! 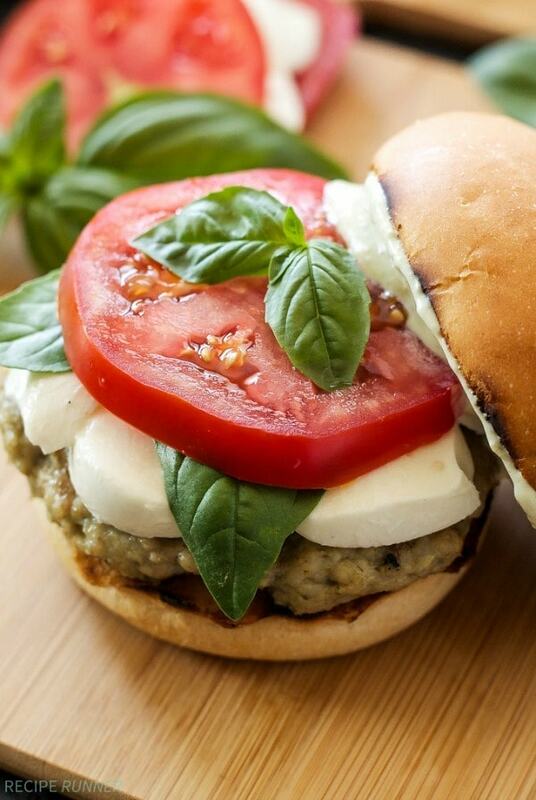 Juicy Caprese Chicken Burgers with pesto, fresh basil, and thick slices of tomato and fresh mozzarella. These are a must make this summer! 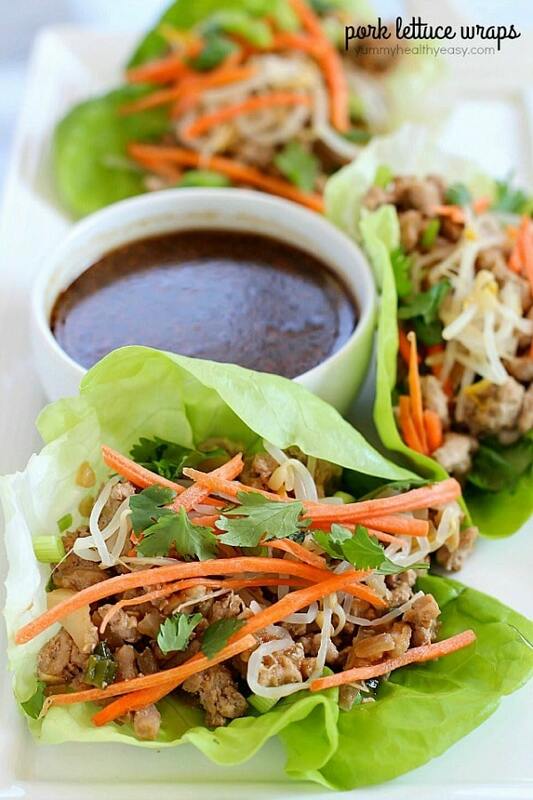 You will LOVE these amazing Pork Lettuce Wraps! 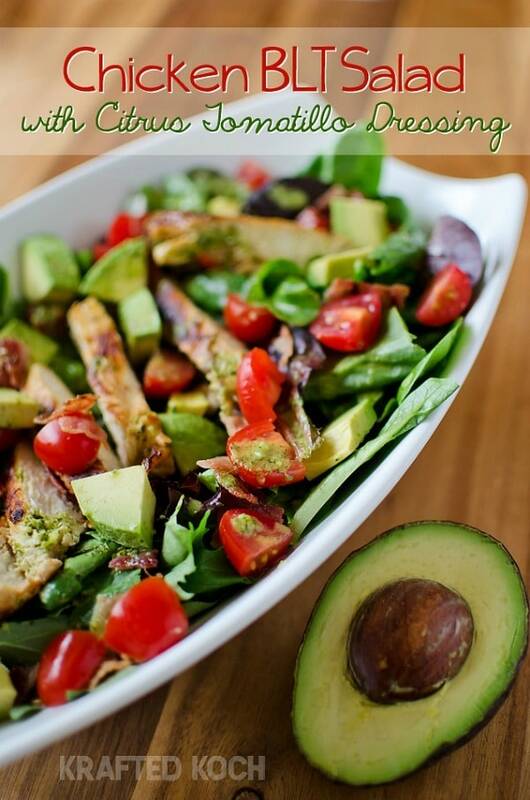 Full of flavor, low on carbs and easy to make. Perfect for an appetizer for a group or as a dinner for your family! 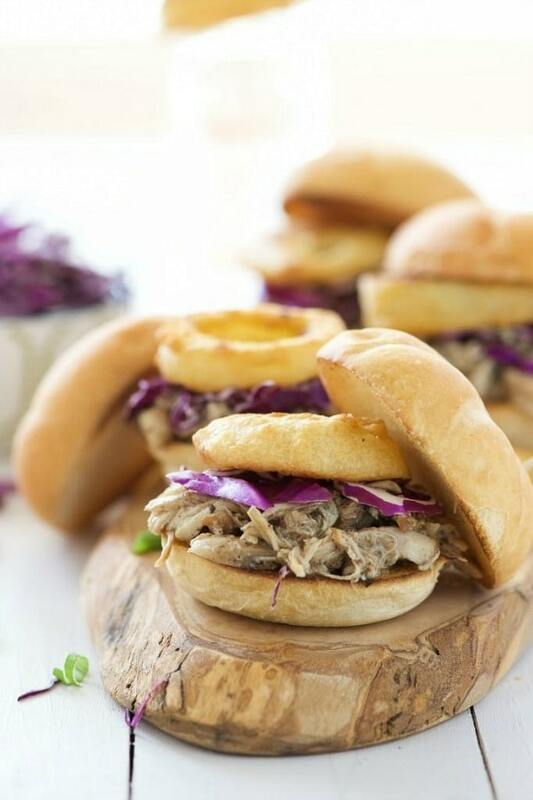 Brown Sugar Pulled Chicken Sandwiches have the most tender, slightly sweet chicken! The slow cooker makes dinner a breeze for these sliders that are topped with a tangy homemade honey mustard sauce and crispy onion rings! 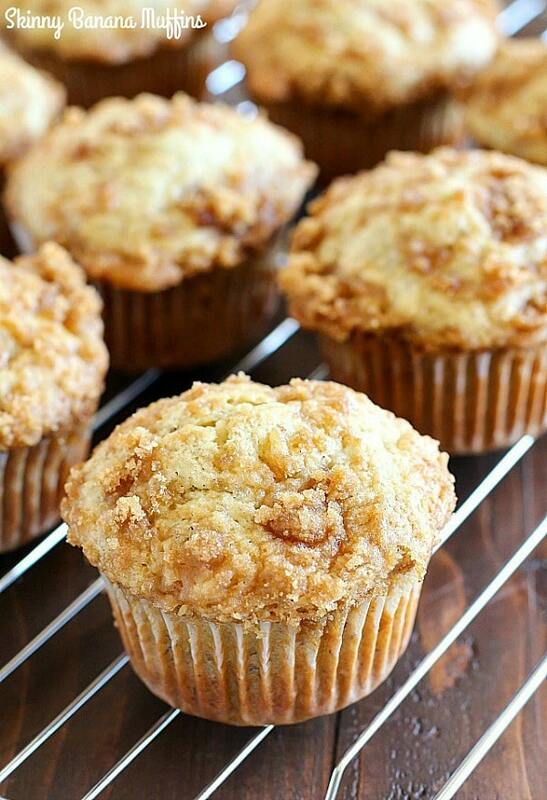 Skinny Banana Muffins are the best way to use up those brown bananas on your counter and they’re healthier thanks to a few awesome ingredient swaps! 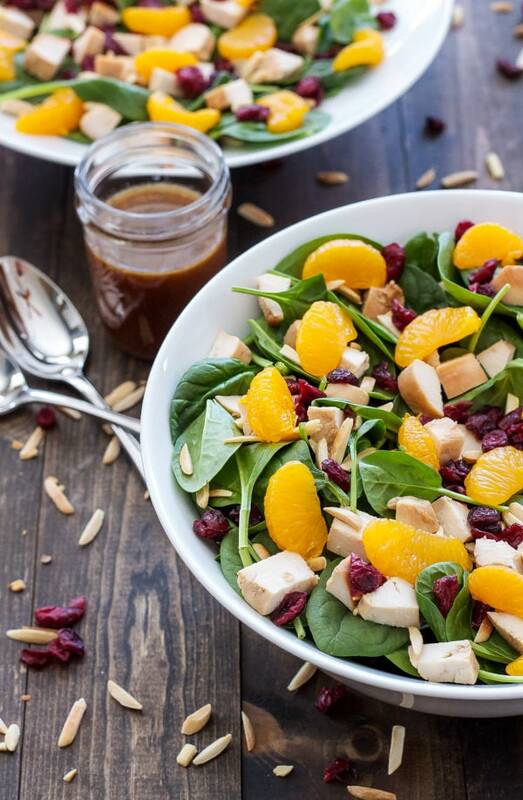 Teriyaki Chicken and Spinach Salad – a fresh and delicious Asian inspired salad served with a teriyaki vinaigrette! Light Coconut Shrimp & Pineapple Quinoa Skillet is an easy one pot dinner idea loaded with healthy tropical flavors. 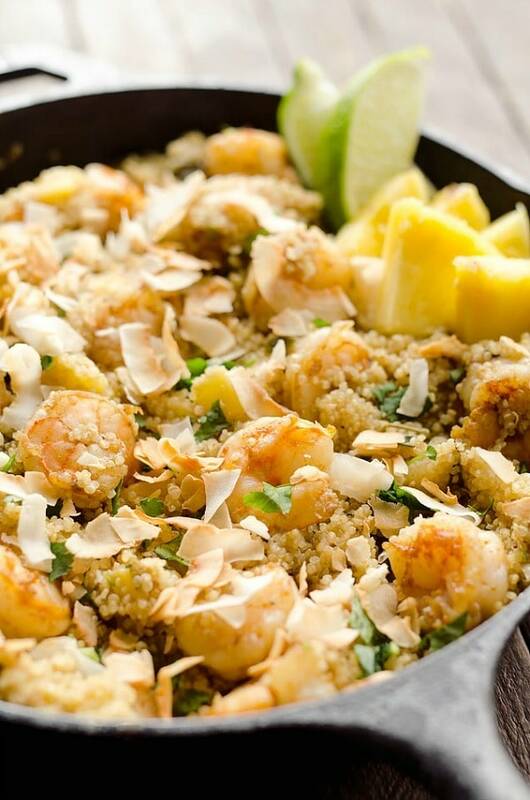 Quinoa, shrimp, pineapple and unsweetened coconut make up this flavorful and delicious dish for a healthy meal everyone will love. 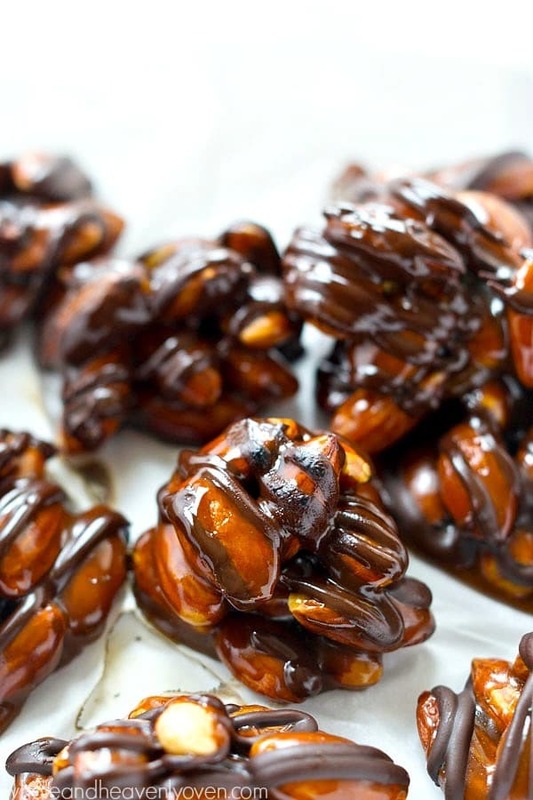 Roasted almonds, dark chocolate, and homemade caramel come together in these Dark Chocolate Caramel Almond Clusters that whip up in minutes for whenever that sweet tooth craving hits! An entire dinner made in one pan! One-Pan Roast Chicken, Asparagus, + Fingerling Potatoes – juicy roasted chicken, tender asparagus, and lots of roasty fingerling potatoes for one winner of a dinner. Skinny Champagne Margaritas combine two classic beverages in one bubbly drink! 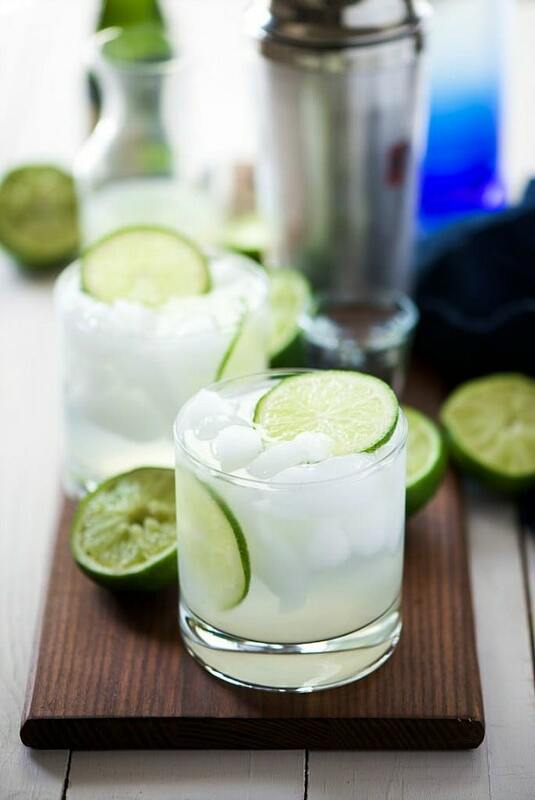 A light and refreshing margarita is topped with champagne for an easy and fun twist on the classic! 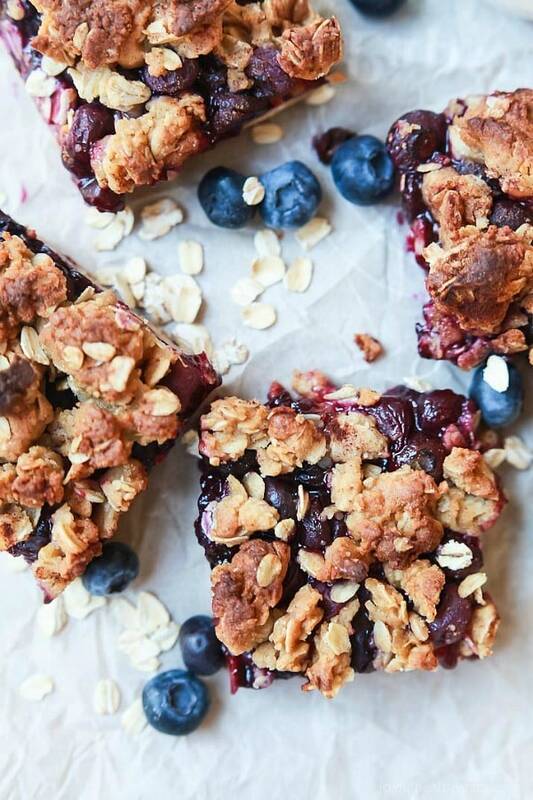 Lemon Blueberry Oatmeal Bars, filled with fresh fruit, lemon zest, and topped with a crumble that you won’t be able to stop munching on! These Bars are easy to throw together and make a great breakfast, snack, or even dessert!